If Golf is your game, then enjoy this collection of villas located on or near some of the best golf courses under the sun. Rental Escapes Luxury Vacation Rentals for Golf Getaways take golf vacation rentals to a whole new level—and that's an understatement. Gorgeous world-class golfing destinations around the world await. We offer guests a range of deluxe properties in Mexico, the Dominican Republic, and Barbados, all perfectly poised for expertly tackling the green. Every luxury villa in our golf course vacation rentals collection was attentively chosen by our cultivated team of personal VIP concierges, many of them seasoned golfers. We enjoy designing exceptional golf getaways for our guests and work with only the most eminent property management companies in all our destinations to that effect. With premier access to the Four Seasons resort in Punta Mita, Mexico, the region's villa guests have access to two world-renowned Jack Nicklaus-designed golf courses, Bahia and Pacifico, both of which feature stunning panoramic views of Bahía de Banderas. Pacifico is also home to the famed "Tail of the Whale," the world's only natural island green, while also offering views across the Sierra Madre Mountains and the Pacific. Eight holes play along and over the sea at Punta Espada, the first of three Jack Nicklaus Signature golf courses to be developed at Cap Cana in the Dominican Republic. Listed among the worlds finest, GolfWeek ranked it the "#1 Best Golf Course in the Caribbean and Mexico" and Golf Digest as #63 in the World. From all vantage points, golfers are blessed with extraordinary views of the Caribbean. The Royal Westmoreland championship golf course in Barbados by acclaimed course designer, Robert Trent Jones Junior offers perfectly presented fairways, Caribbean sunshine, thriving greenery, and a lush tropical landscape to boot. The course is just as much fun as it is demanding. You'll find a mix of challenging holes, among them the collection of Par 3's. Game-changing golf courses are just the beginning. Your home away from home is also a main event, after all. Think private oceanfront villas, pools and hot tubs offering endless views, lush gardens, luxury amenities, stunning decor, tennis courts, fitness centers, spas, clubhouses, and more. Our luxury golf vacations collection additionally includes highly personalized extras such as chef services, private party planning, and in-house yoga lessons—to name a few. Some golf vacation rentals even offer five-star golf courses on site. No matter how big or small your party, there is a perfect Rental Escapes golf vacation rental to suit all your needs. 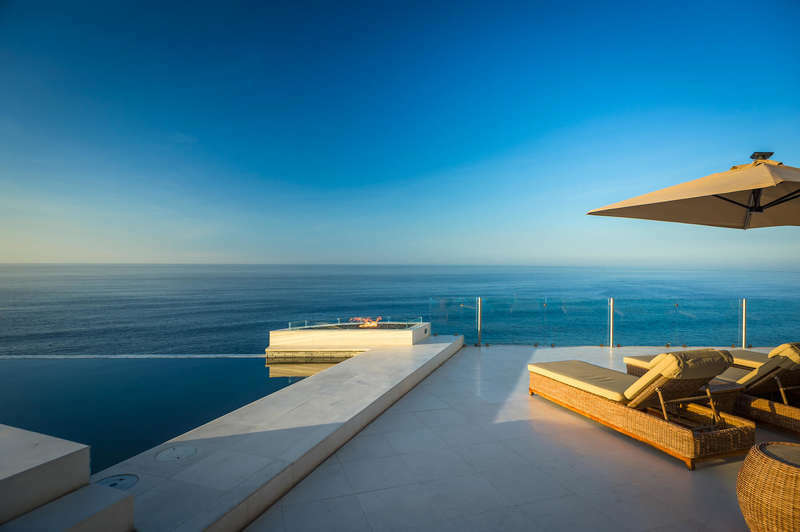 If you have yet to find your ideal luxury golf vacation rental, be sure to browse our other incredible luxury villa collections, including the Ultimate Luxury Villas Collection, Luxury Beachfront Rentals & Ocean View Villas, and Luxury Ski Chalet & Ski Cabin Rentals. No matter what type of vacation you have in mind, our professional team of personal concierges would be delighted to help you realize it. Contact us today!